What’s your business worth? At 415 Group, we understand that knowing the true value of your company is key to maximizing its potential. 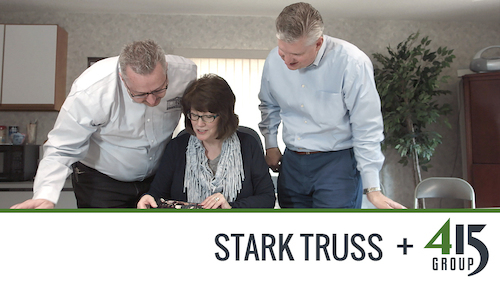 With the largest accredited business valuation team in Stark County, we appraise companies large and small across a wide range of industries. Whether you’re evaluating a potential sale, resolving a shareholder dispute or planning for retirement, our experts will help you determine your financial position and make strategic decisions. Using proven valuation methodologies, our team will conduct a thorough review of your financial statements and operational data to gain a deeper understanding of your business. We perform in-depth research, evaluate competitors and provide analysis of your economic outlook. With every valuation, we adhere to the professional standards established by the National Association of Certified Valuation Analysts and the American Institute of Certified Public Accountants. Members of our team have been asked to present as an expert on various topics through nationally-recognized industry organizations. Discover the value of your business. Contact us at 330.492.0094 or complete the form below to request a consultation.